Home Blog Signing an agreement to license your HTML5 games – could it become easier? Selling a game license, finalizing a deal for revenue shares from IAP or subscription revenues is always connected with big portion of time spent on negotiations, and setting up an agreement conditions. Since the beginning of finding new business opportunities there is always the same process which in many cases may be hard, exhausting, annoying, and it can take away the time you could spend on developing parts of the game you started. Unfortunately, if you really care that your game will be safely licensed to a sponsor/publisher, you should really put highest focus on this process. The time spent on reviewing the agreement itself very precisely will give also you an overview that many publishers are working in a very similar way. Yes, you may get more experience, more knowledge, and with time it can be even easier, and faster process. But, does it always have to be done the same way? No, what’s more you may come up with an idea to make your life easier. How? There may be couple really easy, and helpful ways. Always remember to check if your company data are correct (to avoid bank transfer problems, or international TAX policy issues). Date of signing is really important when you sign a term based agreement (thanks to that you may avoid issues with revenues payments if the agreement was terminated for any reason). Always remember about type of license, do not get in a trap where you will accidentally forget to check if the license was exclusive or non-exclusive (you may loose your chance to reach more markets!). Intellectual property rights clause should clearly state that you own the game as whole, and publisher or any third party associated won’t have any rights to modify the code or any part of the game without additional article in agreement or your permission. There should be statements allowing you and the publisher to use marketing materials about each of you for promotion purposes (for example you wish to tell that you cooperate with certain company in an article of your blog, or on your site, but you didn’t have permission – often such clause can boost an interest of others in your company). 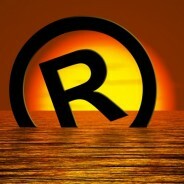 Same thing concerns logos, trademarks, etc. In the financial terms never forget to set a NET amount you would receive every time you would invoice the publisher (it is crucial if you want to avoid troubles with taxation, or unclear conditions). There should be a clear information how the amount you receive is counted. If you wish to have everything clear, the publisher should be obliged to explain how the payment system works. There is no 100% bug free game – watch out if you find a clause saying that the game should be 100% free of bugs. Same way the network of publisher should be bug free, but he cannot guarantee you that. But it is better to state that the games are acceptable for release in network after publisher test them. The confidentiality of exchanged informations concerns both sides of agreement – so keep in mind that you and publisher should have same rights. Same thing concerns responsibility for faults, bad code, bugs, etc. – each side of agreements gets equal responsibility conditions. When you wish to terminate the agreement you should have an option to exit it in every moment when you feel it’s not good for you. This also concerns situation when any of agreement Party works in an inappropriate way. When the agreement is somehow terminated you have full rights to have your revenues paid out till the last day of your games activity in publishers network. In the moment of agreement termination you have full right to have all your games, and content removed from publishers network and portals. Basically this is a small guide with the things I consider most important. Thanks to that it is much easier and faster to finalize the agreement terms. Every agreement has similar conditions, but there may be clauses that I have not mentioned here – these are just some universal and very important statements. This way you can create your own standard for an agreement. There is other way though which in the case of HTML5 games could change a lot. Flash Game License brought a perfect and easy solution for Flash games developers. It helps you to not worry about the license terms, about the agreement, about taxation, about the laws – you just simply showcase your game, and negotiate on what condition your game is published. The rest of process along with payments is in the hands of FGL on terms of Easy License. Why am I mentioning this in HTML5 gaming blog? Because actually you can already sell your HTML5 games this way! Yes, recently FGL has opened it’s gates for HTML5 developers. This way a process is minimized, and you don’t need to worry about checking all the clauses of each new agreement. Although I wouldn’t rely on FGL only, at least for now. It is still uncertain how many deals are finalized this way. But for the agreement/licensing process this may be a good alternative. Some of you heard about MarketJS too. It’s like FGL but it doesn’t provide such support in terms of licenses and agreements. So, would that work out as well as it did for Flash games? Well, we still face one problem – lack of AWARENESS, and distribution issues for HTML5 gaming market. For now search out for the solutions you feel are best for you. I believe that this short guide will help you a bit, or maybe you have your own way to make this process easier, or maybe there are far better solutions than the ones I showed?